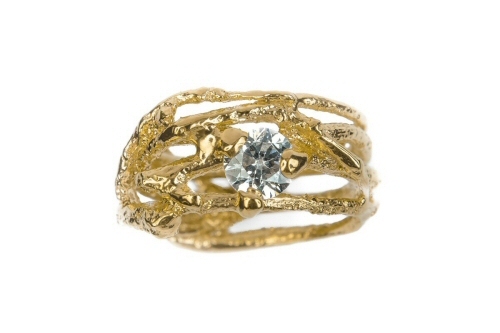 The oak leaf wraps around your finger to create a ring, the stem visible as it overlaps to create the top focal point of the ring design. 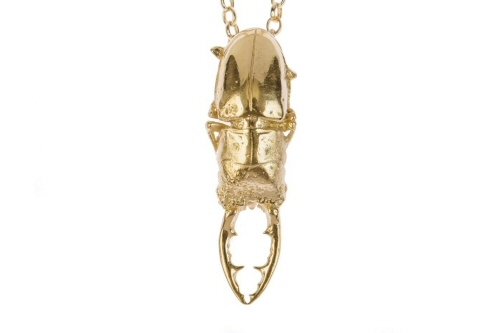 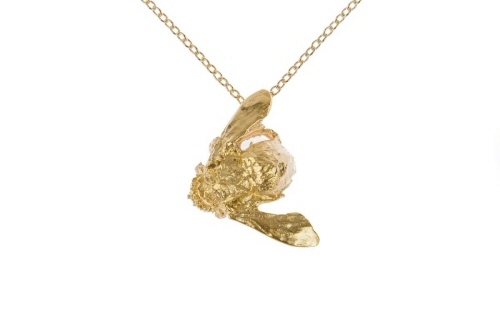 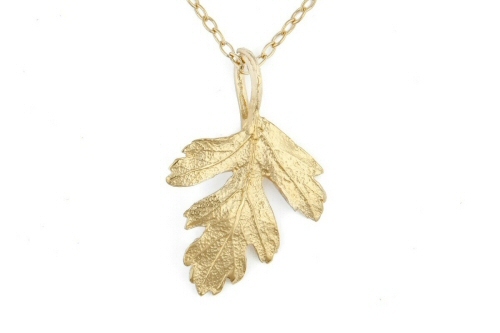 The oak leaf has been cast from life, found on the ground under one of the United Kingdoms most iconic trees, now in solid 18ct yellow gold, it retains all the finest textures from its original natural form. 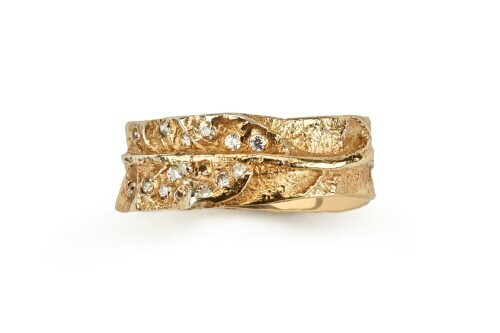 The Oak tree is often used as a symbol of longevity, strength, bravery and growth, the delicate leaf now cast with a scattering of 20 round brilliant cut diamonds set into the gold. 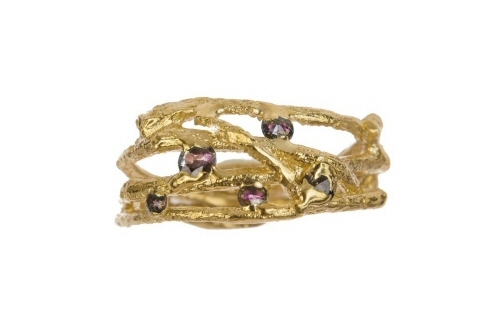 The gold oak leaf ring is handmade in Oxfordshire, the band is 1cm wide and carries a Birmingham hallmark. 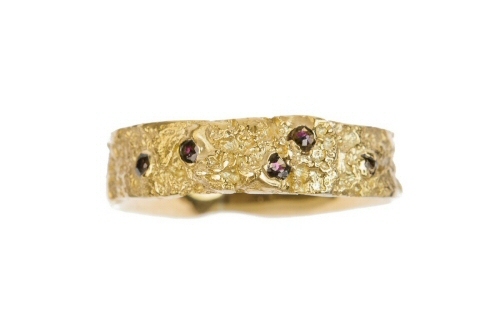 The inside is slightly rounded for comfort, this ring can be made up to a size R.
It can be made in yellow, white or red gold.